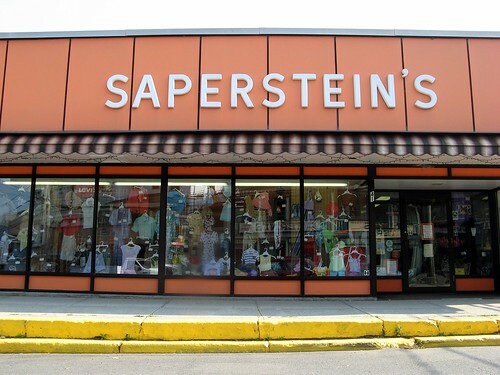 sapersteins millerton ny, originally uploaded by jahansell. Our local department store, with shoes and clothes for kids and adults. Apparently the Carhart brand of work / farm clothes became a fashionista must-have last year, and people were coming up from NYC oto buy it from Saperstiens. I buy the kids' sneakers, snow boots, and watershoes there - the price and quality are just right. I want to go inside! Our local farmers' co-op also carries the Carhartt brand. Good stuff!